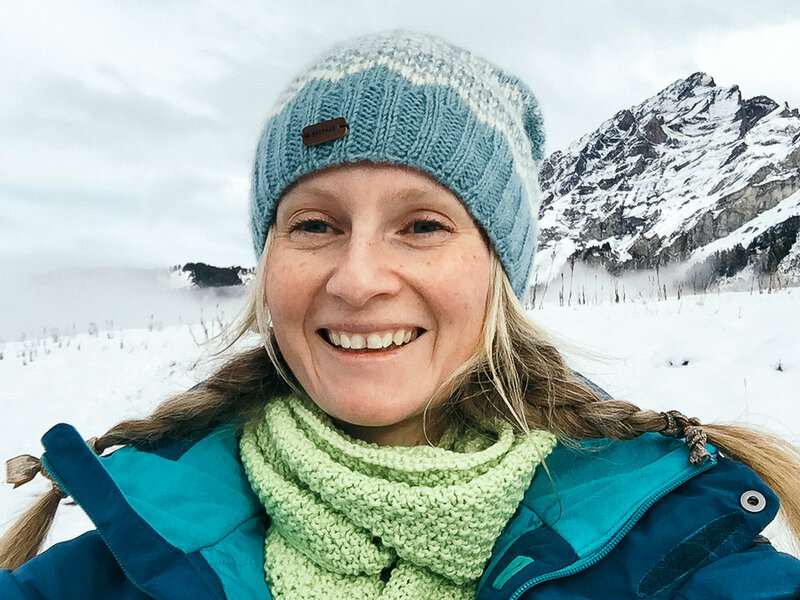 I met up with G&G in Le Pont where we jumped in their VW Beetle and headed up the winding paths to the top of the Dent de Vaulion. All day the weather had been alternating between sunshine and showers. As we climbed the clouds grew darker and the wind started to howl around us. Having come quite a long way, and with their busy schedules we needed to do the shot, whatever the weather. G&G were happy to give it a go and we headed out onto the more sheltered side of the mountain. The rain held off and we were rewarded with spectacular views for G&G’s mountain top engagement shoot. Breaks in the cloud gave wonderful light over the valley and the Lac de Joux. From the top of the Dent de Vaulion, they told me you could see three lakes. But we weren’t brave enough to make the climb in the winds! 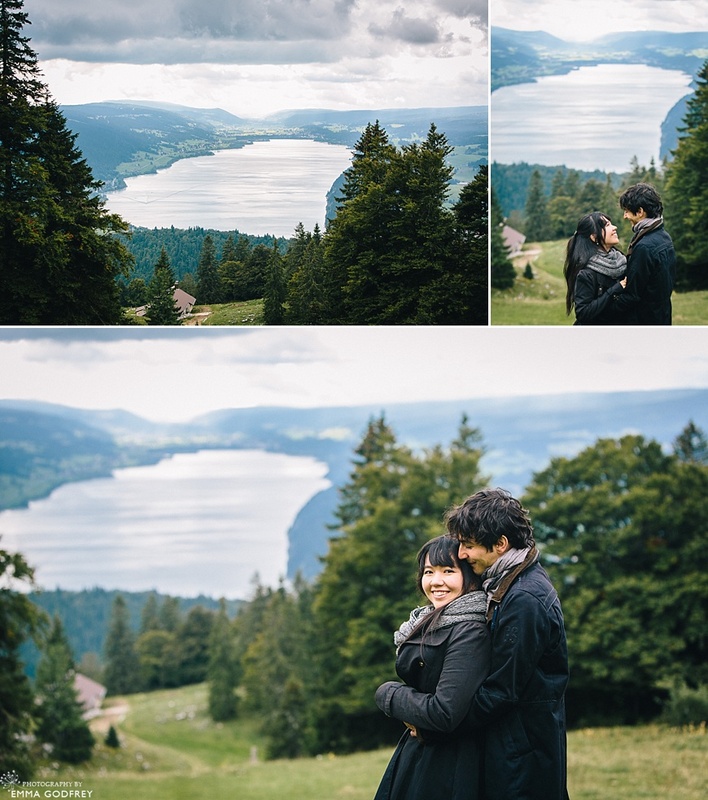 Although I love the Swiss scenery, these shoots are still about the people for me and it is important for me to capture this moment between two people. G&G had such a playful tenderness between them that they were lovely to photograph and we had a lot of fun. 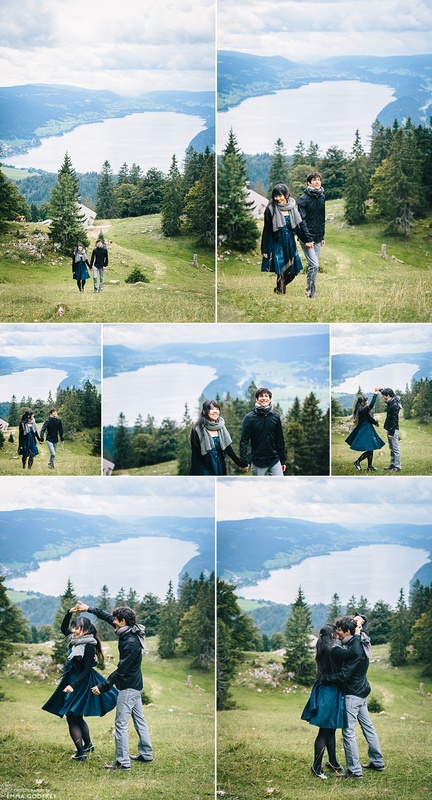 I try to encourage couples to choose an engagement shoot location that will be in contrast to their wedding day. This way they have double the amount of photos and we can explore locations that just aren’t feasible on the wedding day. 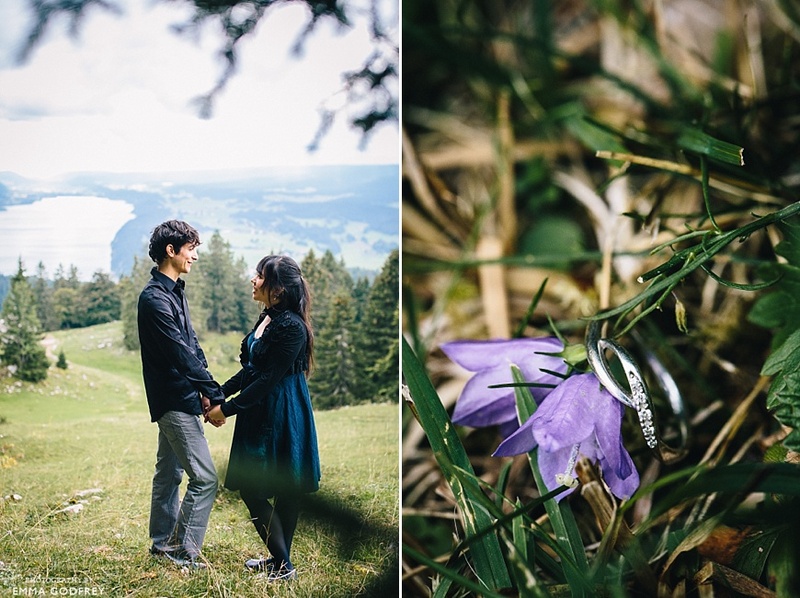 G&G were married in Vevey and we shot their couple pictures with flowers and Lake Geneva in the background. 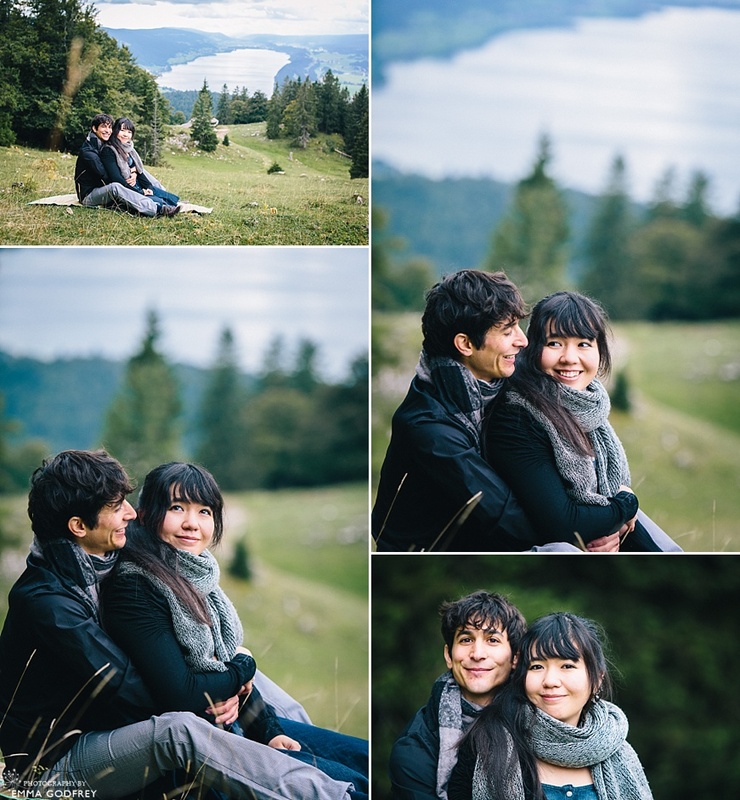 Their mountain top engagement shoot made a wonderful contrast, much more informal and - especially with the wind whipping around us - free. The two sets of images together are a perfect reminder of this special time in their lives.